The &apos;Lise Meitner&apos; Pan African Evolution Research Group (Pan-Ev) at the Max Planck Institute for the Science of Human History and the Extreme Events Research Group at the Max Planck Institute for Chemical Ecology are pleased to announce a vacancy for a postdoctoral research assistant in machine learning and modelling. The position will be for up to four years and shared between the two groups, both based in Jena, Germany. The overarching research topic in Pan-Ev is to develop innovative interdisciplinary methods and conduct fieldwork in underrepresented regions of Africa to understand human evolutionary processes across the continent. The Extreme Events group is conducting complementary research looking at the character and impacts of extreme events in biological, societal and earth systems. The candidate’s job will be to help develop methods and models to better understand the data being generated by both groups, supporting the PIs and other research group members. The candidate will also spend some time with project collaborators, Dr Yoan Diekmann at the University of Mainz and Professor Mark Thomas at University College London. The ideal applicant will have a computational background, e.g. in computer science, statistics or physics, and has completed a PhD in one of these areas. In depth knowledge of and experience in machine learning, data-analysis and modelling are essential. Interest in human evolution and its relationship with culture and environment is a prerequisite. Desirable skills also include database design, and experience in the fields of computer vision and dynamical systems. Prior experience with 3D scanning, climatic and cultural data are a plus. Prerequisites also include evidence of strong oral and written communication skills as evidence by an outstanding publication and presentation record, commensurate with career stage. The ability to complete tasks in a timely and structured fashion is also required for the position. Willingness to travel is essential. The position offers a unique opportunity to the successful candidate to develop cutting edge research across two overlapping groups concerned with understanding key evolutionary processes in human prehistory. The candidate would ideally start the position in summer, but a start date is open to negotiation. 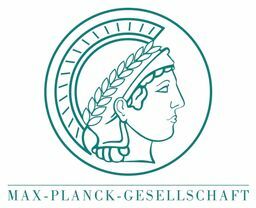 The Max Planck Society is committed to employ more individuals with disabilities and especially encourages them to apply. The Max Planck Society also seeks to increase the number of women in areas where they are under-represented and therefore explicitly encourages women to apply. Remuneration will follow the public service pay scale (TVöD), according to qualification and experience. In addition, social benefits are paid according to the regulations of the Civil Service. Some more information about the Pan-Ev group you can find here: &apos;Lise Meitner&apos; Pan African Evolution Research Group (Pan-Ev). Please submit your application as a single pdf file in English until May 31 2019 using the link below. References are also due at May 31 2019. Your application should include cover letter, CV of no more than 4 pages, list of publications and relevant certificates.